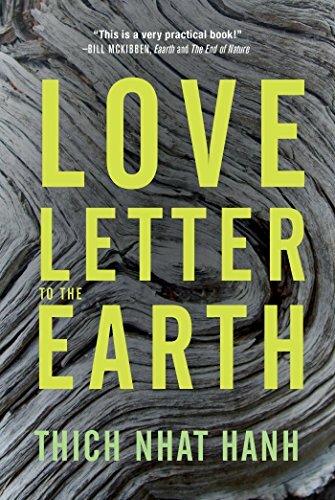 [PDF] Love Letter to the Earth | Free eBooks Download - EBOOKEE! Description: Love Letter to the Earth is Thich Nhat Hanhâ€™s passionate appeal for ecological mindfulness and the strengthening of our relationship to the Earth. While many experts point to the enormous complexity in addressing issues ranging from the destruction of ecosystems to the loss of millions of species, Thich Nhat Hanh identifies one key issue as having the potential to create a tipping point. He believes that we need to move beyond the concept of the "environment," as it leads people to experience themselves and Earth as two separate entities and to see the planet only in terms of what it can do for them. Thich Nhat Hanh points to the lack of meaning and connection in peoples' lives as being the cause of our addiction to consumerism. He deems it vital that we recognize and respond to the stress we are putting on the Earth if civilization is to survive. Rejecting the conventional economic approach, Nhat Hanh shows that mindfulness and a spiritual revolution are needed to protect nature and limit climate change. No comments for "[PDF] Love Letter to the Earth".